This reptile is one of the most unusual pet that any animal keeper may choose to have. Many have found the peculiar characteristics of these reptiles to be so amusing that they would rather have them as pets than just watch them on tv or anywhere else they may be found. Iguanas are herbivorous reptiles and are native to tropical areas such as South and Central America, Mexico, as well as the Carribean. About 30 species of the larger lizard family is already known. 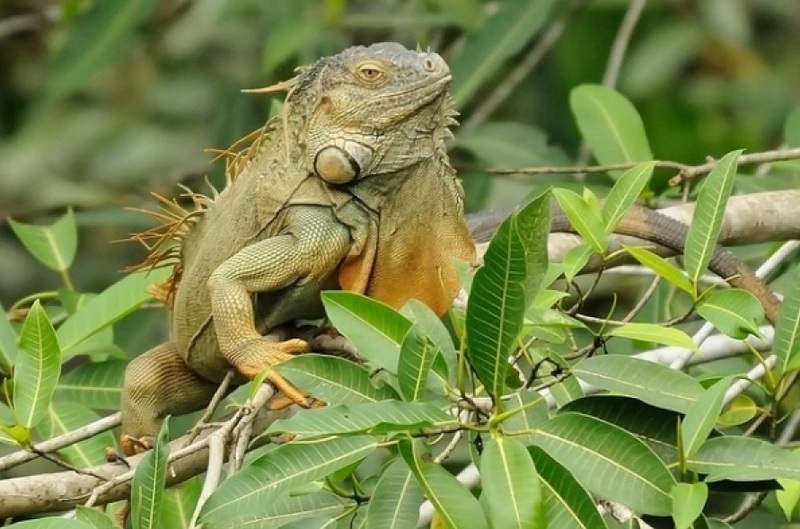 Of these, the common or the green iguana is the best-known species. The green iguana is usually from Mexico southward to Brazil. Iguanas are considered the largest lizards found in America. They can vary in size depending on the species. On average, they can grow to a length of about 6 to 6.5 feet and weigh about 11 pounds. The longest known iguana is reported to be about 7 feet and was found basking on the bank of a creek on Taveuni in Fiji. Green iguanas are characterized by their dark bands forming rings on their tails. The females are grayish green and are about half the weight of their male counterpart. Iguanas are said to possess atrophied venom glands that produce a weak harmless venom. Even then, their bites can cause some serious injuries, so if you are planning to keep one as a pet you should know how to train it well. You should also be aware of the signals that they send especially when they are becoming agitated or snappy. One interesting thing about these green iguanas is that they use non-verbal communication like head bobbing and moving the flap of skin under their necks (dewlaps). They extend their dewlaps to ascertain territoriality as well as when courting a female green iguana. Head bobbing, on the other hand, may signal recognition of another iguana or its level of agitation. The more intense its emotion the more rigorous the head bobbing will be. Look out for any sign of aggression such as standing on all fours, drawing in a deep breath so as to appear larger, and lowering its dewlap (the skin flap under its chin). Be ready whenever it happens. If you are able to provide it with the basic needs, you definitely won’t need to worry about this happening, however. Ball pythons are one of the most popular snakes kept as a pet mainly because of its docile personality and easy handling and maintenance requirements. Many find keeping them to be a rewarding experience as a whole. Where can you get ball pythons to rear or breed? These generally docile reptiles are quite easy to acquire. You will probably find one that you would like to keep from pet stores, reptile breeders, reptile expos, and even through online sellers and breeders. A ball python is also known as the Royal Python. They got their name from their unusual habit. You will notice them coiling themselves up into a tight ball around their head when they get nervous or upset. Another interesting fact about this exotic animal is that they are nocturnal. They prefer to hunt at night. During the day, they rest in underground burrows. Hatchlings of ball pythons are about 10 inches in length. An adult female ball python can grow to an average length of about 3 to 5 feet long. However, an adult male ball python can only grow to up to an average of 2 to 3 feet. Although the average length of the biggest ball python is 5 feet, there have been reports indicating that this snake can grow to a length of about 6 feet or more. 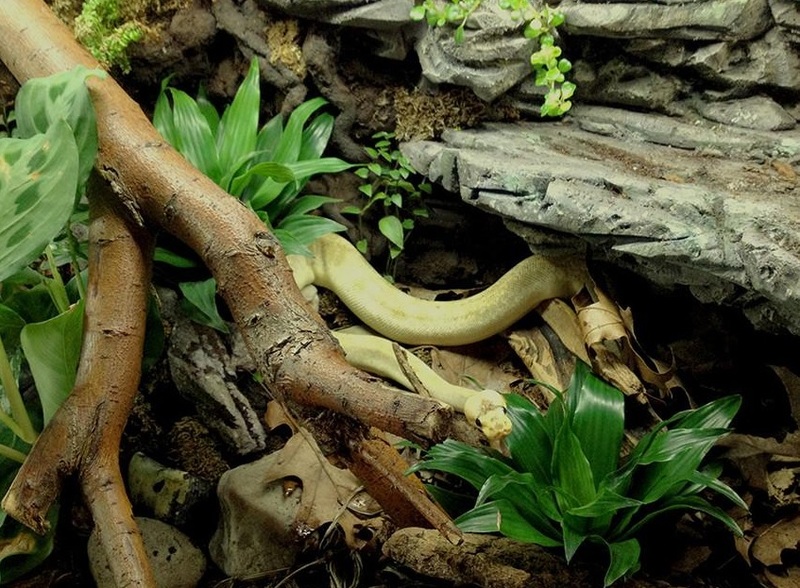 If you plan to keep a ball python as a pet, you should be surprised to know that with proper care and handling, this reptile can live up to 30 years or even more. Records indicate that there are ball pythons that have reached more than 40 years. In fact, the oldest known ball python lived to about 48 years old before it died. With a lifespan like that, you know you should be ready and totally aware of how to care for your ball python. It is critically vital to have your snake’s enclosure complete and ready before bringing it home. This can help the snake to quickly and easily acclimate itself to its new habitat without endangering its health.